Soft Tissue Management Treatment for Gum Disease at 50% off!!! Here at AA South Florida Dentistry, we strive for excellence when treating a serious condition such as Periodontal Disease. With the latest treatment and most up to date technology. Although catching Periodontal Disease as soon as possible at an early stage is a major advantage, we can still help you no matter what stage you are in. Symptoms you might experience include red or swollen gums, bleeding gums, pain when chewing, loose teeth, bad breath and bleeding gums. Treatment, in this case, is not optional it is necessary, if proper treatment is not received, the risk of serious issues in the future including tooth loss and overall health problems are highly increased. Periodontal Disease elevates the risk of stroke and heart disease, which is why it should not be left untreated, in the case of being untreated patients will often require advanced treatments which can be more expensive and invasive for the patient. 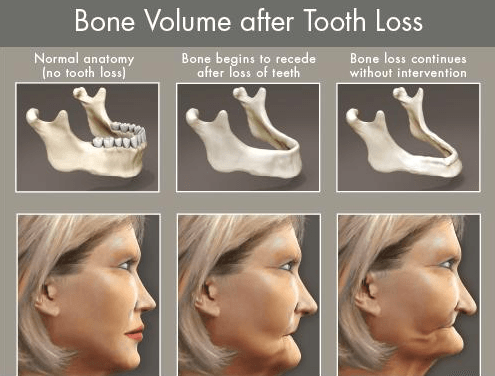 There are multiple reasons why bone loss occurs in the jaw, like periodontal disease, when a tooth has been lost due to tooth decay, trauma, or any type of injury. With time, the jaw bone can be deteriorated to the point that there may no longer be enough bone tissue for the placement of an implant. A bone graft procedure is the best option in these cases. There are three types of bone grafts procedures such as Autogenous, Allograft, and Xenograft. Bone Grafting is recommended before dental implants or other replacement procedures by augmenting missing bone around teeth and extraction areas. Bone Grafting can allow you to restore missing teeth and enable you to have a healthy and beautiful smile once again, it can also restore your facial contours where bone tissue may be missing in the mouth. For more information about bone grafting procedures, schedule a consultation by calling us at (305) 661-9556 or request an appointment online. This procedure is performed on patients that have done scaling and root planning and/or other periodontal procedures and have not responded well. It is important for the patient overall health to treat and control gum disease. A gingivectomy is necessary when gums have pulled away from the teeth creating deep pockets. Before the procedure is started, the Periodontist will numb the area using a local anesthetic. Small incisions are then made and the excess gum tissue is carefully removed. After the procedure a periodontal dressing will be applied over your gums, it’s a putty-like substance that is designed to help your gums heal and also provides protection during the healing process. Teeth Fixed in a Day – Dental Implants in 24 Hours! 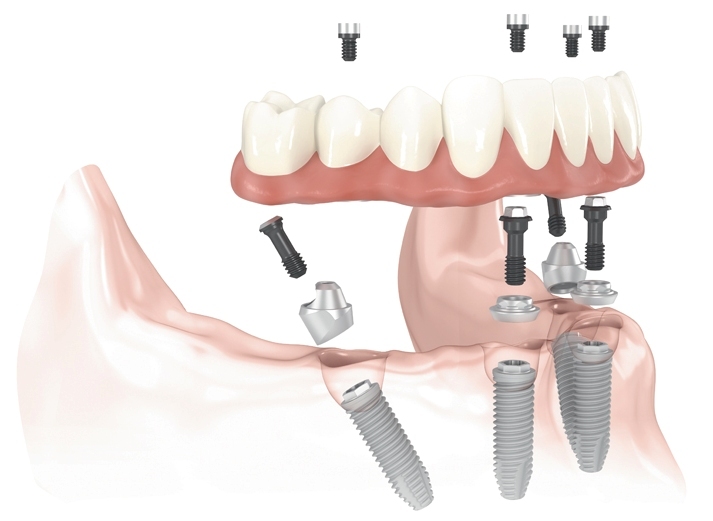 The All on 4 Dental Implant treatment concept is ideal for patients who have lost most of his/her teeth, it is also recommended for patients who currently have a denture and want to switch to a permanent fixed solution. The cost of treatment includes the dental implants, the surgical placement of 4 to 6 implants, and same day delivery of an all-acrylic set of teeth (all-acrylic implant-supported fixed bridge for teeth replacement). 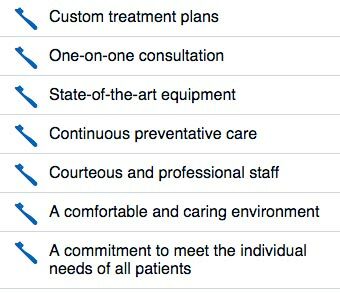 Our treatment fees are much lower when compared to a two-location or multiple-doctors approach, where both doctors would charge separate fees, significantly increasing the total cost of treatment. We have financing options available that can put All-On-4 within reach. Regardless of your credit situation. Early detection of periodontal problems is important, if not detected and treated at an early stage it will cause infection and bone loss. Gum Disease is very common among North American adults but we are here to tell you that is treatable and in some early cases preventable. Gum Disease can lead to bad breath, bad smell/taste, tender gums, bleeding, and eventually tooth loss. It is imperative for you to know that this bacteria can reach beyond the mouth and be associated with other health issues. Periodontal Disease has been linked to heart attacks, diabetic complications, strokes, osteoporosis, and pregnancy complications. A typical Soft Tissue Management (STM) program consists of tissue debridement with a piezo scaler: a laser-like instrument and/or ultrasonic scaler which is quick and painless. Scaling and root planing with hand instruments should be carried out along with an in-office irrigation treatment with the warmed medicaments: chlorhexidine and fluoride; which are known to aid in the healing process. A fine motorized toothbrush is recommended, like Rotadent for example, which is only dispensed by a dental office and carries a lifetime guarantee. The dentist will show the patient how to use it along with customized instruction of other oral hygiene aids. A prescription mouth rinse that prevents decay, inhibits plaque and desensitizes the teeth will most likely be recommended. The goal of a Soft Tissue management treatment program is to resolve the signs of inflammation, reduce pocket depths and detectable plaque to a level associated with periodontal health. 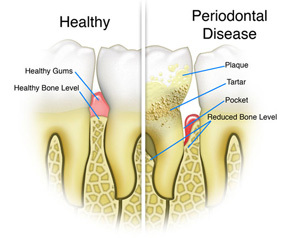 Ideally, the progression of the periodontal disease will be halted.